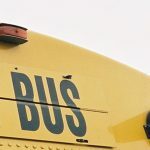 A school management system includes several tasks such as student’s registration, record keeping of attendance, generating report cards, producing an official transcript, preparing timetable and schedule of classes, managing transport, fee management and others. A school management software is a complete solution that caters the needs of school administration process. In the current system, we need to keep a number of records related to the student and retrieving the records as per need is a tedious job. 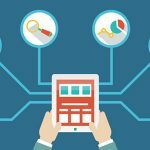 The school management might require customized reports of students and search for the entire data to generate one is highly impossible and a school management software must be capable of generating customized reports as in when needed. 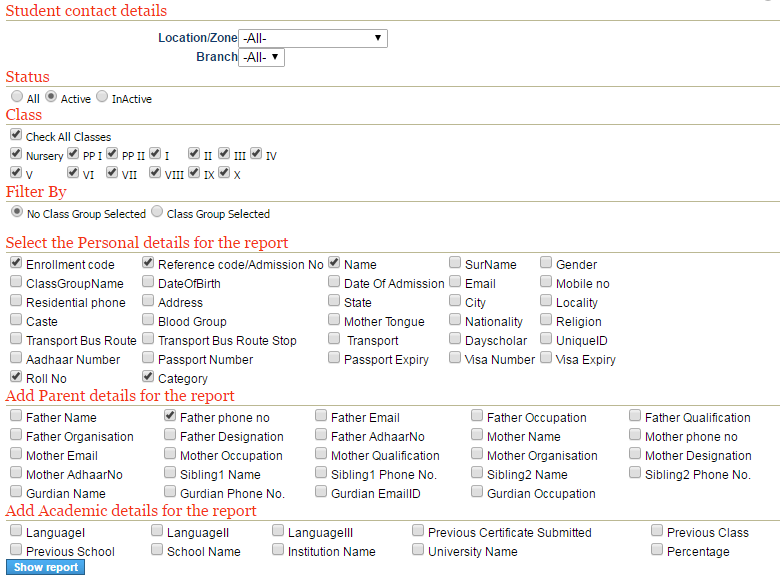 In the proposed system of MyClassboard, we offer the provision for generating reports as per the requirements. 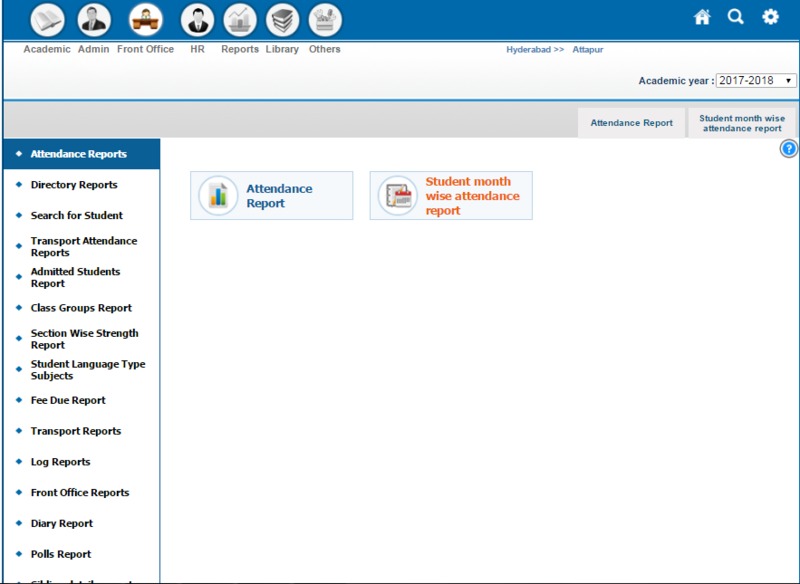 There is a separate module for reports displaying various options underneath it like attendance reports, search for student, transport reports, class groups reports, the fee due reports, etc. 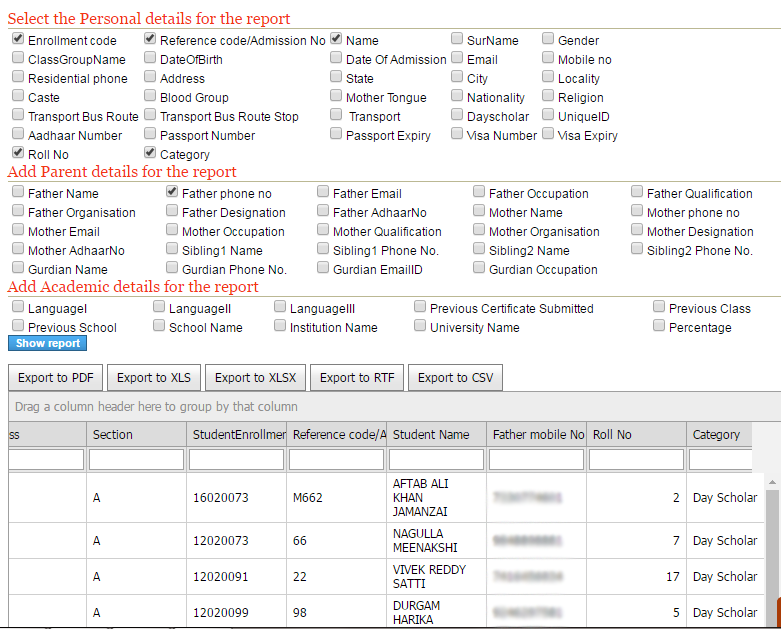 You can click on any of the options to create your customized report. For instance, let us suppose the school admin staff needs the contact numbers of the students, be it class-wise or for all classes, searching the profile of every single student to get the details is very wearisome. The staff can just click on the “Search for student” option in the custom reports section, wherein a page showing the following options will be displayed. Select the class and you can click on the option Father phone no. to get a report of the contact details of the students. If you need a report of the students admitted to the school for a particular period, select the “Admitted Students Report” and the page will show up. 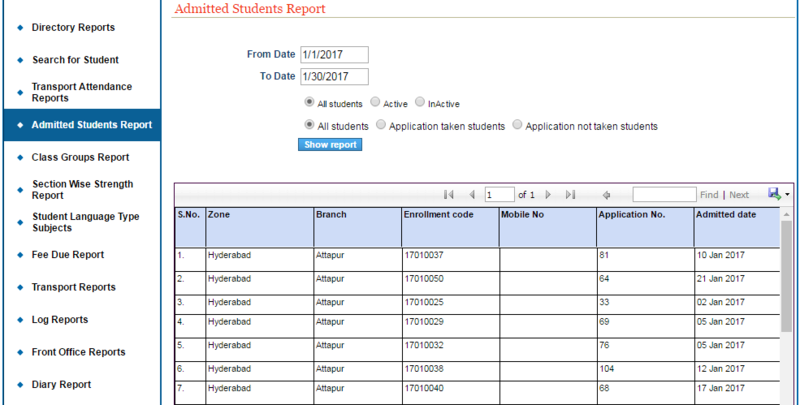 You can generate reports of students who have taken application and students who have not taken the application in the admitted section. Custom reports of MyClassboard enable you to generate your reports class-wise, section-wise, and also produce teacher-wise analysis reports and branch-wise analysis reports.